Bayern Munich boss Pep Guardiola has rejected suggestions that his side have been given an easy route into the semifinals of the Champions League after being paired against Porto. The German club managed to comfortably overwhelm Shakhtar Donetsk in the last 16 round, but they were largely helped by the sending off for the Ukrainian club early on in the second leg. Nonetheless, the club still remain as one of the favourites to lift the trophy this year due to their incredible strength in depth. The odds have only lengthened after they were drawn against Porto. The Portuguese club have lifted the European cup in this century, but they are not considered as realistic challengers for the title. They are not one of the mainstream clubs like Real Madrid or Barcelona. As a result, it is heavily felt that the German club have been mightily rewarded with an easy fixture. Guardiola has tried to dispel those suggestions by saying that the Champions League quarter-finals do not contain any easy teams at all. Despite those comments from the former Barcelona manager, it will be difficult to see Bayern not walking past their opposition in this tie. Incidentally, this tie is a repeat of the European cup final of 1987 in which Porto won 2-1.”All teams have a special quality. Porto and Shakhtar [Donetsk, Bayern’s last-16 opponents] were in the same group, so we have already watched a few of their matches.Porto have a great team and a beautiful stadium. They are very strong physically and attack with a lot of pace, but in the quarterfinals you can’t expect an easy match,” said Guardiola. His comments were also backed by goalkeeper Manuel Neuer. “The atmosphere in Porto is very heated. I witnessed the Porto fans during the 2004 Champions League final against Monaco,” said Neuer. Bastian Schweinsteiger did not exactly have a great first half to the season. Due to a succession of injury problems, he was limited to only eight appearances in all competitions. The German international, though, contributed heavily for Germany’s success at the World Cup 2014. Manager Pep Guardiola says that he expects strong performance from the 30-year-old in the second half of the season, which will resume towards the end of January in Germany. 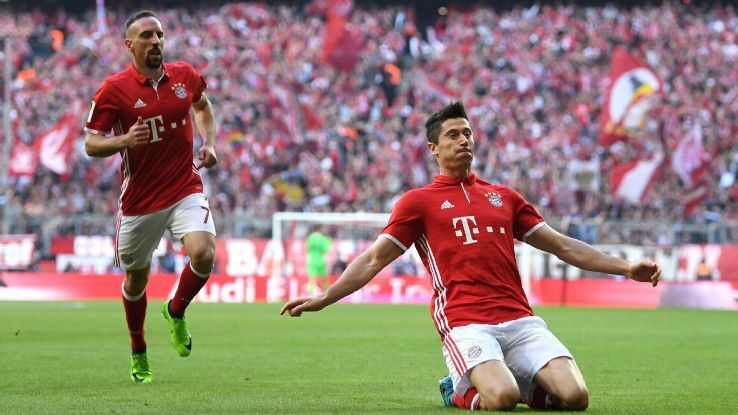 Bayern Munich could not have wished for a better first half to the season, as they already lead the table by nine points. FIFA 15 Career Mode – Bayern Munich – “IT BEGINS” – Episode 1! Pep Guardiola has managed to turn the clubs that he is in control of in a state of complete dominance and transform them into the best in the world. This is the case of Barcelona, when Guardiola was in charge of Barcelona there was no doubt that the Spanish club was the best in the world for a certain period of time and when he left Barcelona, the club suffered immensely trying to find someone who can fill his shoes. Guardiola is now the coach of Bayern Munich and once again, he has established the German team into one of the best in the planet. During his first season as the coach of Munich, he guided the team to a record breaking Bundesliga win. Even though the German league of the past season still had more than 5 matches left to be played it didn’t matter as Bayern Munich was just so far ahead of everyone else that they were crowned as the champions of Germany prematurely. 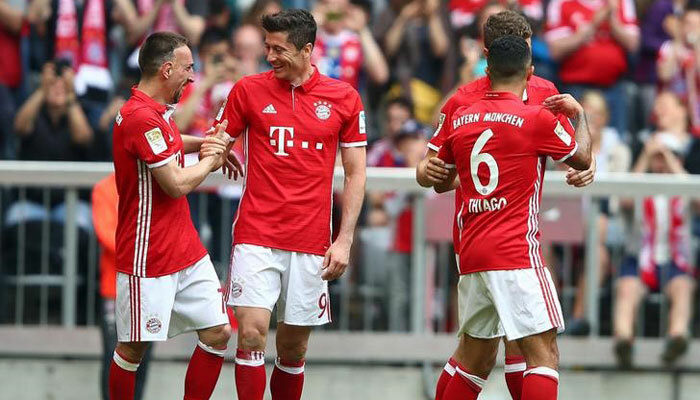 Bayern Munich are dominating the current season of the German League as they remain undefeated after 15 matches, no signs of slowing down are being displayed and the chairman of the club Karl-Heinz Rummenigge praised the work that the former Barcelona manager has been doing since arriving to the Allianz Arena. ‘’He’s the best coach Bayern Munich could have had. He’s also a wonderful person and it’s a great pleasure to work with him.I hope he stays a long time with us. I know him and I know he is not the sort of person who likes to renew his contract early or places much value in a long-term contract.I would only get on his nerves if I were to ask him now. I know when I need to seek talks and that’s not going to happen in the very near future because he doesn’t want that’’ Karl-Heinz Rummenigge said. Even Manchester City’s Manuel Pellegrini has taken notice of what Pep Guardiola has accomplished in his career and the Uruguayan coach suggested Guardiola to extend his coaching career to England.